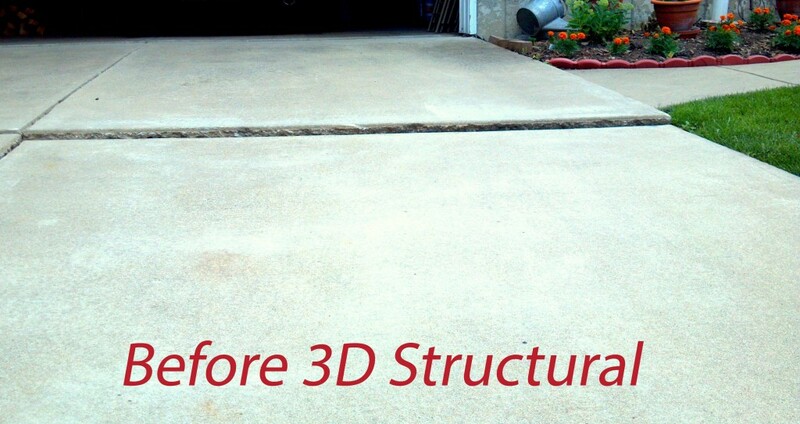 Do you have sinking concrete in your driveway, patio or sidewalk? Don’t replace it – Raise it! Sinking concrete can be repaired with greater ease and less expense, often hundreds of dollars less than replacement, with the concrete leveling process! The soil underneath driveways, sidewalks, and patios can erode with changing weather conditions or constant exposure to water. You will easily notice a problem when shoveling snow or trying to level patio furniture. Through the process of concrete leveling with a grout Injection, or “mudjacking,” sunken concrete can be raised and leveled. The concrete leveling process starts by drilling a series of 1½” holes through the slab. A grout mixture is prepared on-site to meet the desired consistency based on the nature and amount of settlement. The grout is injected under controlled hydraulic pressure to fill all voids and hollows. Once these voids are filled, the slab viertually “floats” to the desired height. The holes are then cleaned and filled with mason sand and cement. The patch holes will be a different color at first, but given time will blend with existing concrete. By carefully controlling the proportions of the grout mixture, we can raise the slab precisely. Don’t replace it, raise it! 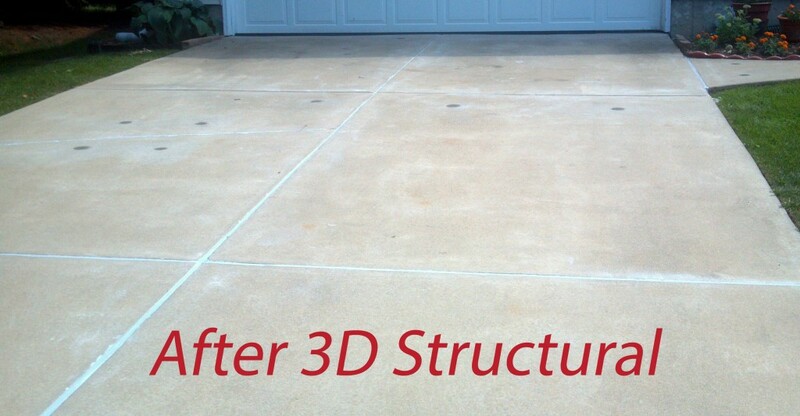 The concrete leveling process is effective on just about any concrete slab, and can usually be completed within one day. Low Cost Most slabs can be raised for less than half the replacement cost. Hassle Free Most jobs can be completed in a matter of hours. Flexible scheduling allows for little if no disruption of normal activities. All work is done through the slab so there is no adverse affects to landscaping and adjacent areas. Stability The grout mixture is very dense and prepared on-site; therefore, the leveled concrete can expect to stay level. Safety Eliminates aggravation and potential injury of family, friends, or customers. Responsibility for personal injury rests on the property owner. Resale Value Standing or run-off water can cause ground erosion and possible structural damage. Improved appearance and increased property value will more than justify the expense.